Many people are looking for information about the Jollibee Kids Party in the Internet. In fact, many visitors to this blog read my posts about Jollibee Kids Party and left their questions and reactions in the comment section. 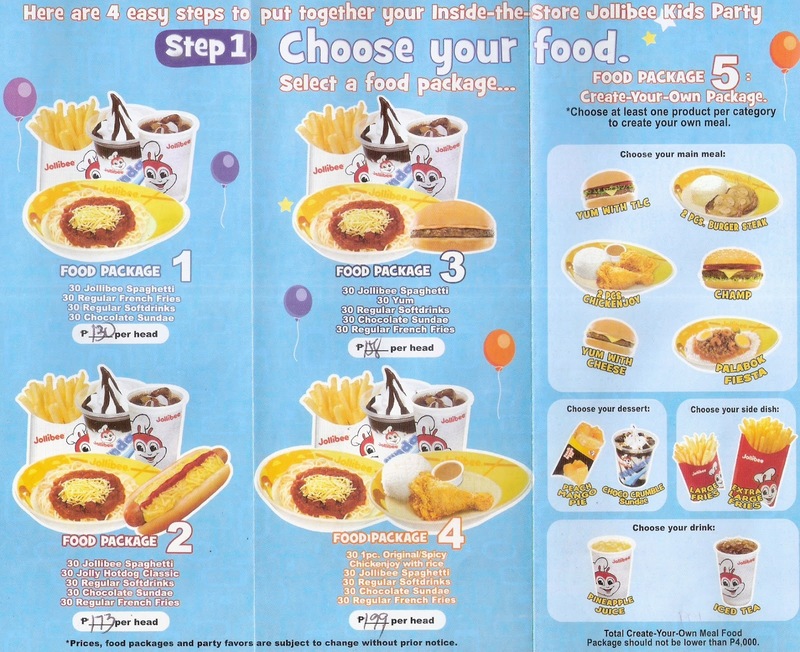 Aside from searching for Jollibee Kids Party info in the Internet, you can also find the information that you need by going to any Jollibee branch or more specifically a Jollibee branch that can host a party. 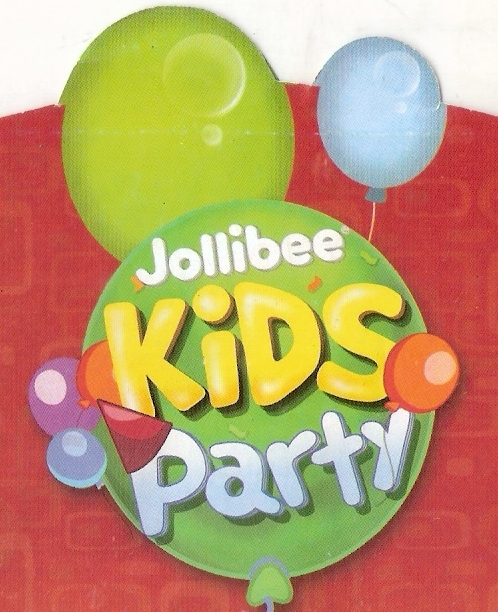 I visited one Jollibee store the other day and saw that they have brochures for Jollibee Kids Party. 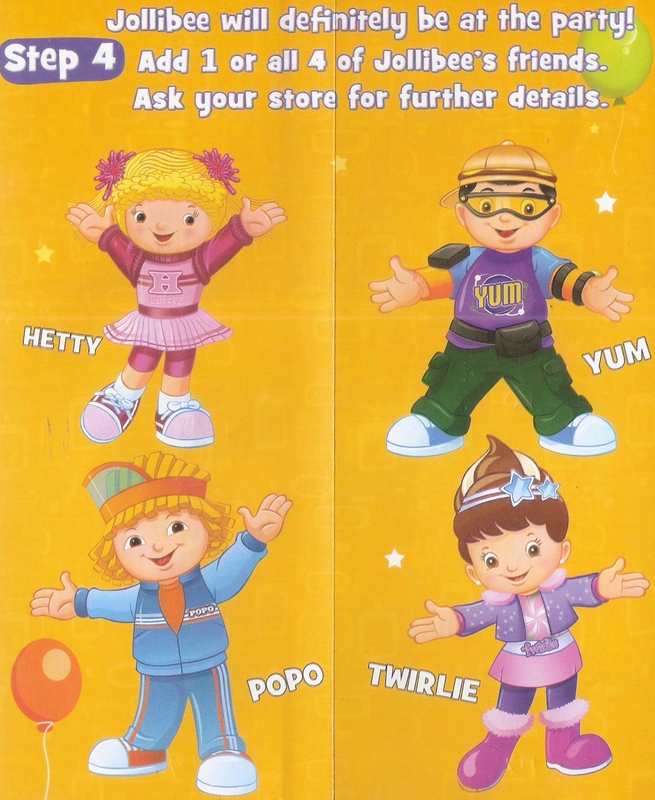 According to the brochure, you can choose from 5 food packages. 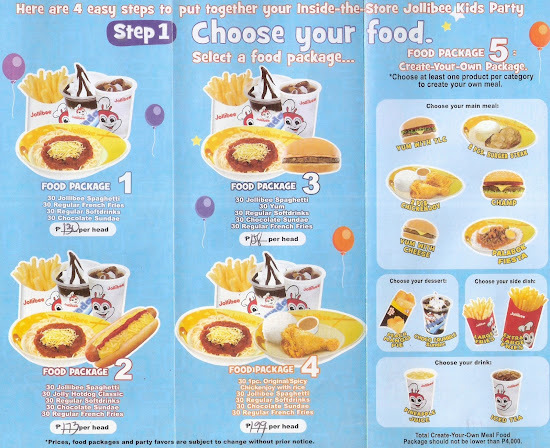 The 5th Jollibee party food package is the create-your-own package. This step shows what you'll get when you pay the 1,250 pesos Jollibee Kids Party fee on top of the cost of the food packages that you chose. According to the brochure, you'll get 20 assorted game prizes, 10 crayons, 30 balloons, 1 guestbook and the appearance of Jollibee. This step let you choose the theme that you want for the party. You can choose from Jollitown, Barbie and My Bestfriend Jollibee party themes. You are also given the option to add loot bags, party favors and cakes at this step. 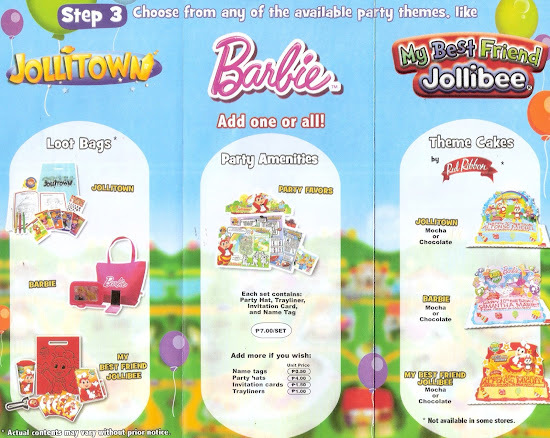 Take note that Barbie party theme is only until August 15, 2013. Please read this post to know more about this news. The last step gives you the option to add more mascots that will appear to your party. That's all the steps. Aside from brochures, you can also approach any Jollibee staff to help you arrange the Jollibee Kids Party that you want.